Speed reading for kids. Is speed reading recommended for children? At what age kids should learn speed reading? When is a good time to teach kids speed reading? We are frequently asked the questions: ‘Do the spd rdng techniques apply to children? And ‘At what age should they start?’The answers depend on the mental rather than chronological age of each child, but generally, we recommend the following. Kids develop their reading skills at different rates – it depends on the individual. 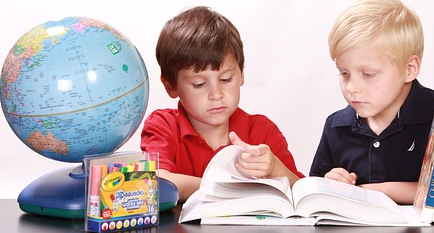 Once children have learnt basic reading skills (ie they can read age-appropriate material), then it is helpful for them to learn different reading/thinking skills (causation, inference, message or moral of a text, vocabulary building, dealing with unfamiliar vocabulary, etc), and to learn different approaches to reading. Kids also need to be encouraged to read a lot, and to read for fun because it helps them pick up a lot of information about how the language works, and so that they have some experience which they can relate to when they’re learning new skills of speed reading. EXPERT TIP Foster a love of reading. Make reading fun. Have lots of books around. Let your children see that you love and value reading. The speed reading system explained in in our book and courses is designed for adults and teenagers. We recommend that young people start using the techniques after they’ve had some experience of reading conventionally and when they need to be more efficient. This is probably aged about 15+, at a time when they need to read more for self-directed study rather than (or as well as) for pleasure. Read a lot, for pleasure. 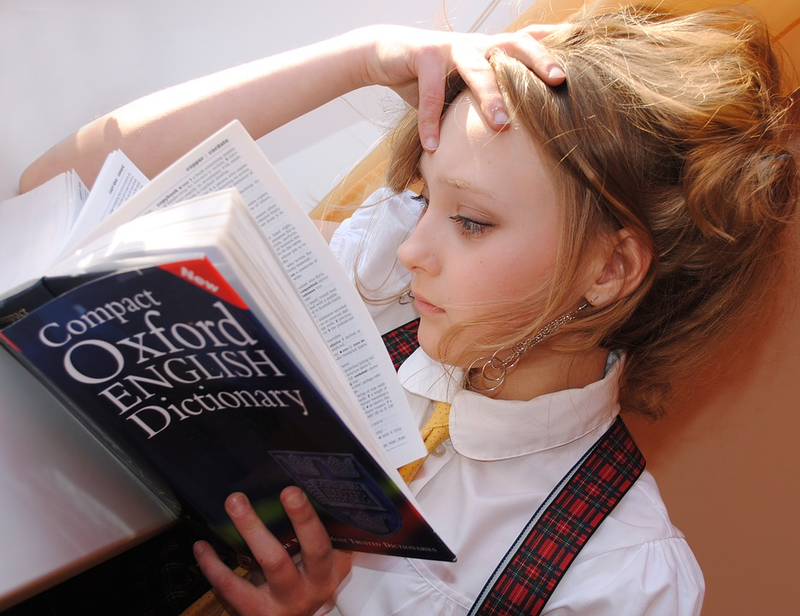 Before that the age of 15, there is much to be gained from reading more slowly – you build up vocabulary, learn how sentences are structured, understand how stories develop. So the best thing children can do is to read as much as possible – of anything which interests them. It doesn’t matter whether that’s stories, football, factual information or comics. The parents’ main job is to offer them books by authors they might not otherwise come across by themselves. But the worst thing you can do is turn children off reading by making it a boring chore. Foster a love of reading in any way you can – read yourself (this is especially important for boys: they need to see men – their father or other relatives – getting pleasure from reading), talk about books you’ve read, and keep books available for them to ‘discover’ by themselves. The biggest indicator of how good a reader someone is in later life is how much they were read to as a very young child – not how much they themselves read, although that too is a factor. Don’t wait until children are ‘old enough’ to read. Even before they are one, they will enjoy sitting with you looking at the pictures in books, identifying things they know, learning colours, counting, listening to simple stories, singing nursery rhymes, etc. Board books help them learn to turn pages and hold the book the right way up but interacting with you and the book engenders a love of reading. Parents call us all the time asking about what is the best time to start teaching kids speed reading. The youngest enquirer so far, that we had over 18 years of teaching speed reading was a 3-years old girl who googled us. She was too young to come to our speed reading course but we recommended that her mother learnt speed reading and would teach her when she needed it. We do teach speed reading to kids, from the age of 10 years old and sometimes younger. Always be guided by what the child wants in terms of reading. If they want to interact and take an active role reading, let them. Sometimes though they will just want to sit back and enjoy the sound of your voice reading to them. And sometimes they will want to do something else entirely. The ‘natural’ age for learning to read is about 7 – in many countries with a high literacy rate children don’t start school till they’re 6 or 7. Many children will be ready to learn earlier than that (particularly if they’re read to), but it should be because they want to, not because they’re forced to. When young children don’t learn naturally for themselves, they are at the mercy of the school system and whatever reading system is in vogue. Many of the reading schemes work for many children, but children are different and different approaches work for different children. Unfortunately, schools very often don’t have the resources to cater to individuals who are not doing well in class. Once children reach this stage, when they are functionally reading, apart from giving further practice, schools tend to leave children to their own devices – ignoring the fact that at a later stage, in secondary school, children would benefit hugely from additional spd rdng strategies. Some people work out a faster reading system for themselves – but many don’t. asking children to read aloud is for the benefit of the teacher so they can check the child’s ability to decipher words – but it should be used in moderation. Reading aloud in front of the class is possibly the worst ‘teaching’ habit – the stress engendered in many children (of any age) can only inhibit both comprehension and the ability to read fluently, as well as (particularly in the case of boys) turning them off from reading at all. Reading is about getting meaning from the text, and you may remember from experience how difficult it can be to answer questions about a text when you’ve just been reading it aloud to someone else. It can also encourage children to move their lips while reading – which will slow them down later. Currently, our open speed reading courses are aimed at adults who might be expected to have most of the basic understandings about reading (even if they are not explicitly aware of them). Numerous 12-year-olds who have already reached this stage have found our adult speed reading courses very helpful. One of them (admittedly an incredibly bright and advanced boy) was heard to say to others on our speed reading course ‘If only I’d done this when I was eight – I have wasted so much time!’ While others have been slightly bored at times – but only because they were ‘getting it’ so much quicker than some of the adults around them. At the moment, we don’t have specific open speed reading for kids courses but we recommend that you, the parent come to our speed reading course, learn and then teach your kids. However, when we do speed reading courses for 10-12-year-old kids, then we change the focus slightly so that the information, materials and examples are more appropriate to the age-group. So yes, speed reading is recommended for 10-12-year-olds and kids who are ready for it. For all children, we also recommend that parents and teachers help children with ‘learning to learn’ techniques, which will lay the groundwork for improved reading skills. Speed reading is an integral part of accelerated learning and learning to learn methodology. Your children will learn how to speed read and also how to become super-learners with accelerated learning growth mindsets and skills. With the rapid technological changes happening in the world i.e. AI, learning to learn is the most important skill that will allow your children to stay relevant and employable in the job market. When your kids have the accelerated learning skills they will be able to reinvent themselves and have the resilience to face uncertainty and unknown leading to 2040 according to Yuval Noah Harar, the author of 21 Lessons for the 21st Century. We offer individual speed reading tuition – one to one courses. 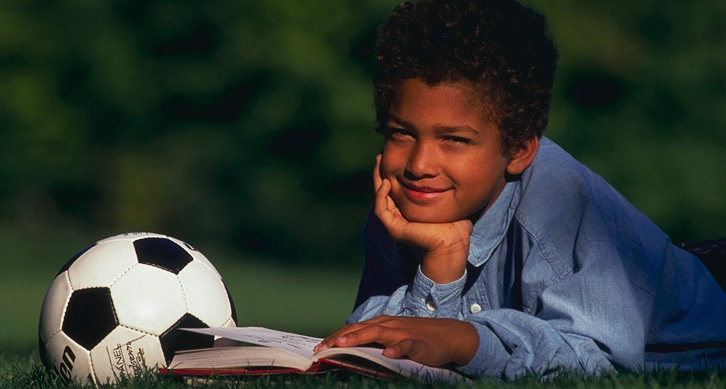 Speed reading for kids – is recommended for 10-12-year-olds and children who are ready for it. How to teach kids speed reading? One way is to come to our weekend speed reading course which we run every month in London – learn speed reading and then teach your children. In this way, you’ll be able to advise and support your kids at the right time and in the right context of their study or homework. Kids learn speed reading best when they need it or when they see the use of it, for example, saving time doing homework so they can have free time to play. You can also start learning speed reading from our book Spd Rdng – The Speed Reading Bible. Watch this very impressive video below about a 13-year-old girl, Beth, who is super speed reading at 13,000 words per minute. She speed read 15 pages in one minute which is 4 second/page including turning pages. She mainly uses the super-duper underlining technique (where she cuts off beginnings and ends of lines) combined with a tight zigzag skittering technique. Speed reading at the rate of 13 000 words per minute is about 2-3 seconds per page, not including turning the pages. At one point, it looked like she was taking longer turning pages than actually speed reading the whole pages. Posted in #1 Blog On Speed Reading & PhotoReading, Summaries of Books, Good Books to Speed-Read, News, Research On Speed Reading, speed reading for kids.